Suite 801, 66-111 Kamehameha Highway, Haleiwa, HI As one of the fastest growing burger franchises in America, Teddy's Bigger Burgers has stayed true to its island roots by commissioning South Sea Arts to outfit its historic Haleiwa town location. One walk inside of this popular Kamehameha Highway gathering place and you'll note the unmatched brush strokes of Gecko. 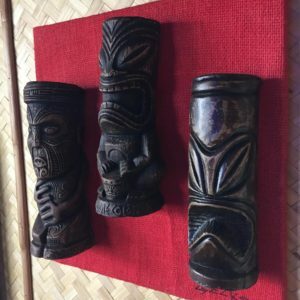 From the ceiling to the bar to the mugs and tiki totems South Sea Arts has put its stamp on Teddy's Bigger Burgers, making it one of the most Instagrammable eateries on the entire island of Oahu. Stop by this north shore Teddy's for an Original Burger, a Pineapple shake and stick around to admire the decor. 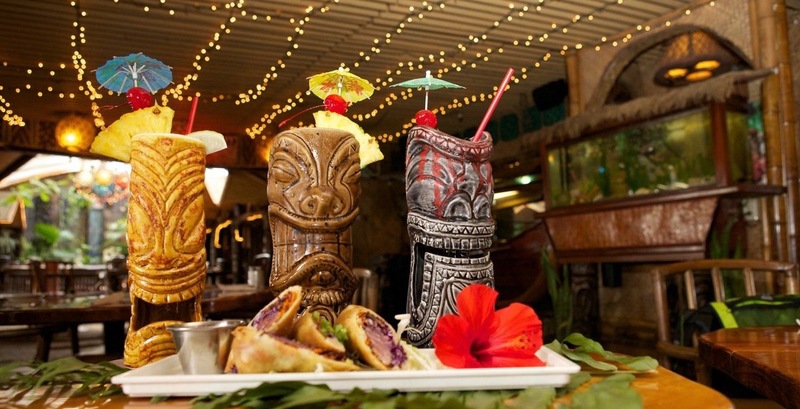 Aston Waikiki Beach Hotel 2570 Kalakaua Ave, Honolulu, HI Tiki's Grill & Bar is one of Waikiki Beach's best hot spots for dining, drinking, and entertainment. 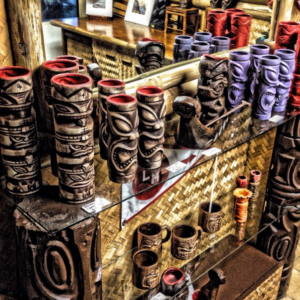 Located on the second floor of the Aston Waikiki Beach Hotel on Kalakaua Avenue, Tiki's can be seen and heard by all who pass below, drawing them in. A big part of what makes this such a popular haunt for locals and malihini alike is the decor - unmistakably accented by South Sea Arts. The most notable giveaway is the line-up of visitors all competing to take pictures of the masterpieces that adorn the walls, floors, and tables of the restaurant and bar. Gecko's work is immediately noticed at the entryway, again in the front gift shop, and in the main dining area of this tiki-fied establishment. 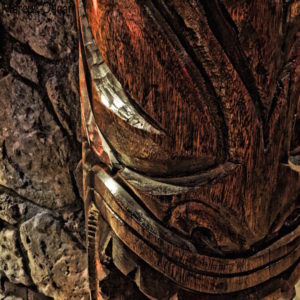 Be sure to rub one of the tikis on your way out for good luck and remember to @geckoz_southseaarts_ on Instagram when sharing your favorite pics of the South Sea Arts work within Tiki's Grill & Bar. 50 Sand Island Access Road, Honolulu,HI Known as one of the most iconic and last remaining authentic tiki bars (and restaurants) in the world, La Mariana Sailing Club is one of the biggest attractions on Oahu, even though it's tucked away in the marina off of Sand Island Access Road. For locals, La Mariana is a favorite watering hole. For visitors, La Mariana is a "must visit" destination point. 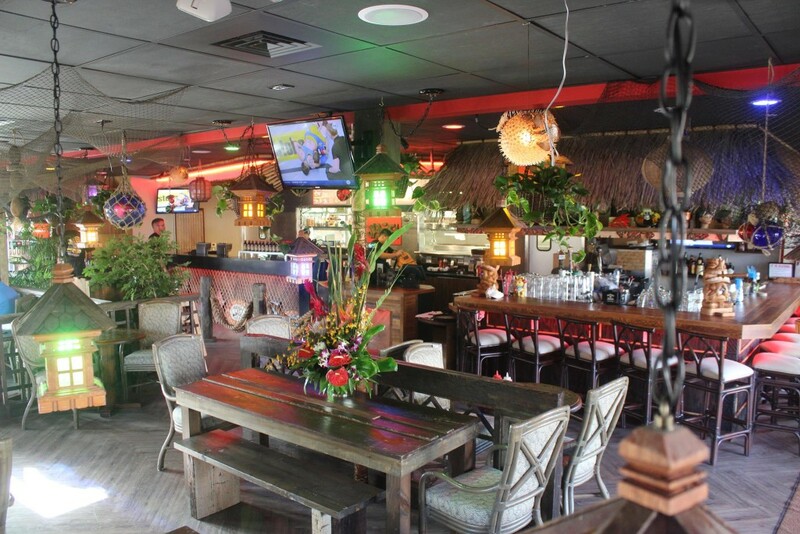 Food, cocktails, and live music aside, the biggest draw is the design and decor of the island style restaurant and bar, due in part to the touch of South Sea Arts. The expansive establishment is decked out head to toe in Gecko masterpieces. One of the best parts, is that you can take some of it home! No, don't bring a chainsaw and attempt to claim your favorite piece from the main room, the gift shop has everything you desire. Inside the shop you'll find South Sea Arts mugs and ceramics, including limited edition pieces exclusive to La Mariana Sailing Club patrons.